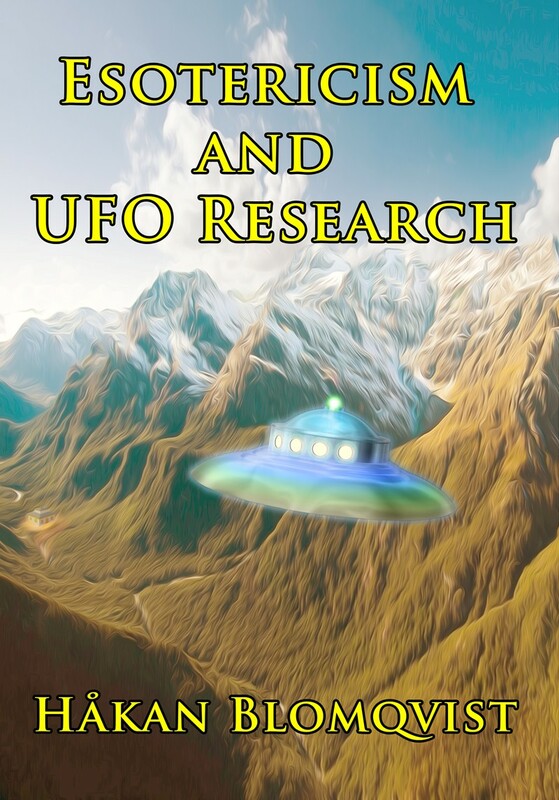 In the history of the UFO movement Desmond Leslie (1921-2001) has a prominent role and it was his writings and theories that to a large extent influenced much of the 1950s and 60s ufology. 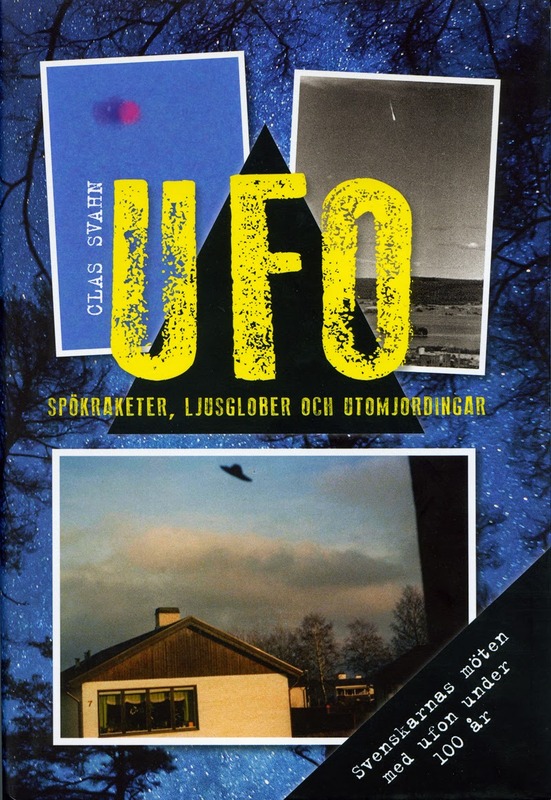 The book he co-authored with the controversial contactee George Adamski, Flying Saucers Have Landed (1953) became a bestseller and was translated into more than thirty languages. Global sales reached around one million. When a revised and very much enlarged edition was published by Neville Spearman in 1970, Flying Saucer Review editor Charles Bowen named it The Book That Was Dynamite. 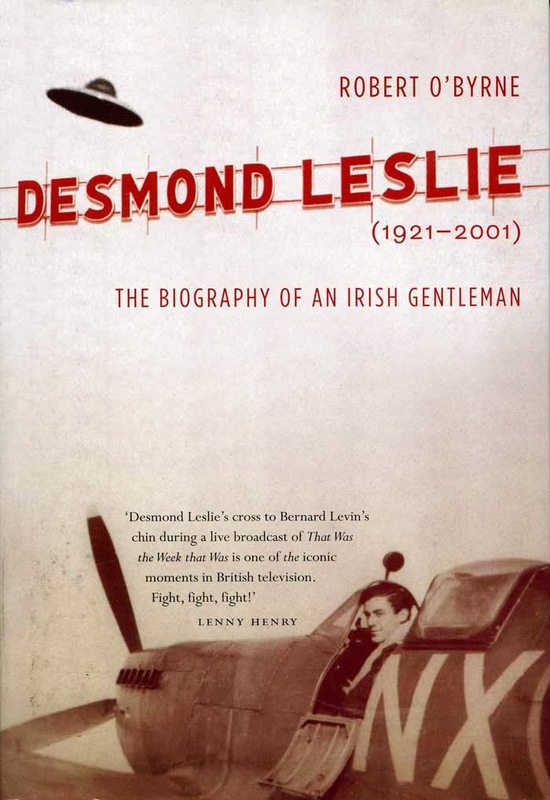 Much has been written by and about Desmond Leslie but it was not until 2010 that a biography appeared. Desmond Leslie. 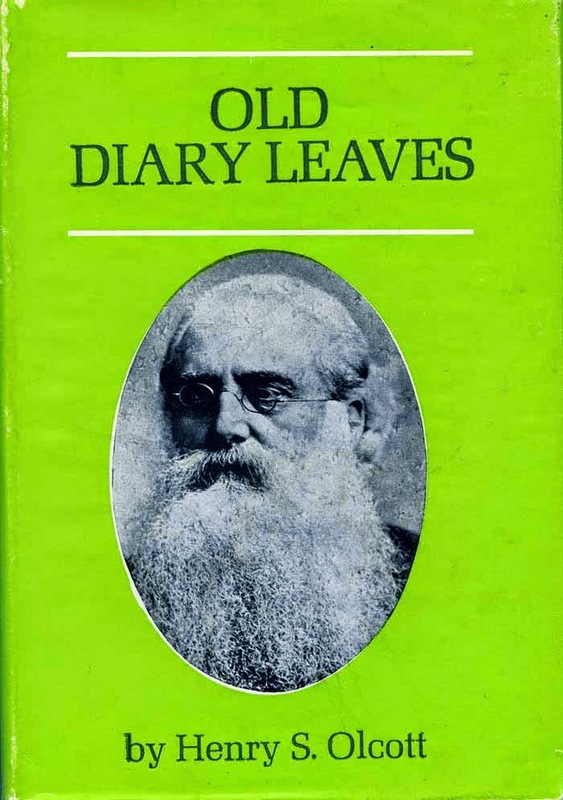 The Biography of an Irish Gentleman by journalist and art historian Robert O´Byrne. It is a traditional biography presenting Leslie´s family history, marriages, career as musician and the rather complicated and stresssful life he lived beginning in 1963 when he, in spite of financial and personal problems, in the end succeeded in preserving and developing his family estate, Castle Leslie, in Glaslough, Ireland. But to me the biography is something of disappointment. 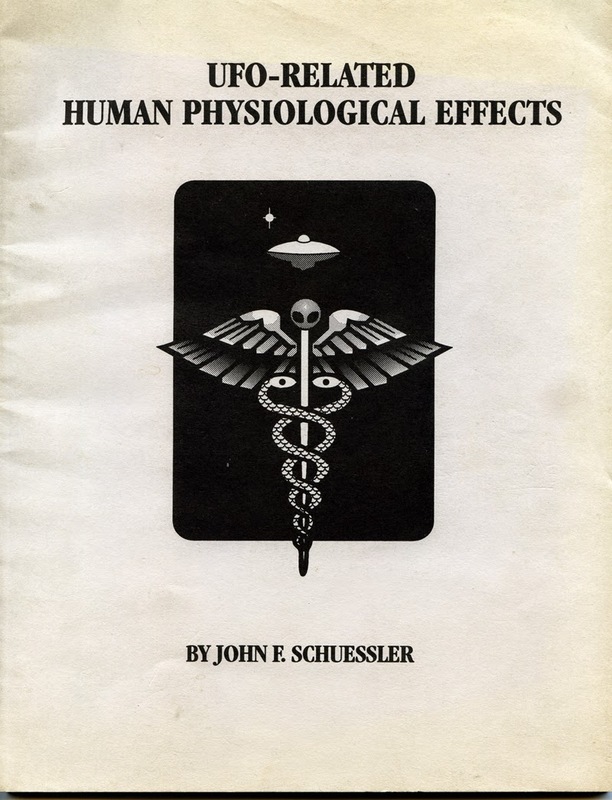 It is obvious that the author has very little knowledge of, nor sympathy for, either ufology or the esoteric tradition, which are referred to as "eccentric" and "quasi-religious" subjects. It this respect the book becomes a flatland biography never reaching the "soul" of Desmond Leslie. We still have to wait for an scholarly ufologist or esotericist to write a biography that will give the final word on Desmond Leslie and his fascinating life. In his book The Fifties Spiritual Marketplace (1997) religious scholar Robert Ellwood refers to Desmond Leslie as a "British esotericist". This is to a large extent a correct description. Flying Saucers Have Landed was the first major UFO book that connected "flying saucers" to Blavatsky´s vimanas and the esoteric tradition. There are many references and quotes from the classic works of Alice Bailey, Trevor Barker, Annie Besant, H.P. 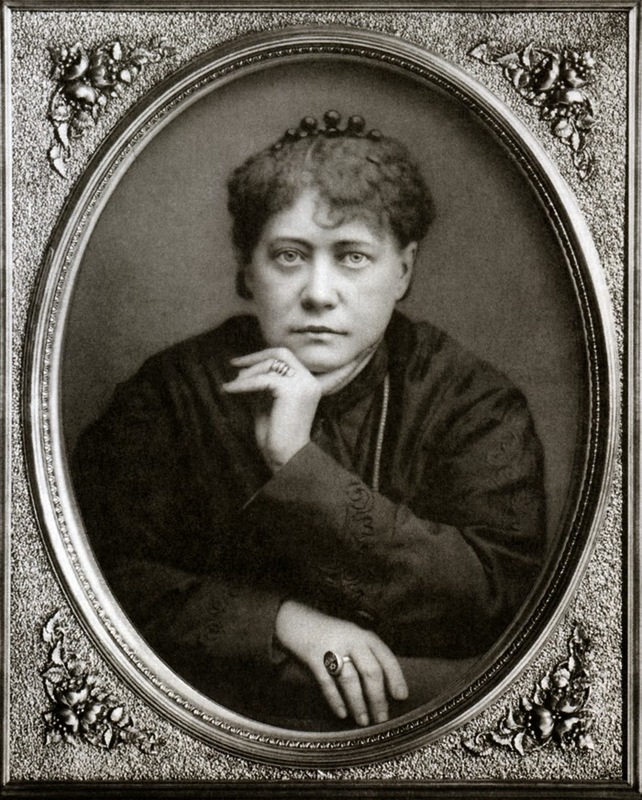 Blavatsky, Geoffrey Hodson, C.W. Leadbeater, A.E. Powell, W. Scott Elliot, A.P. Sinnett a.o. 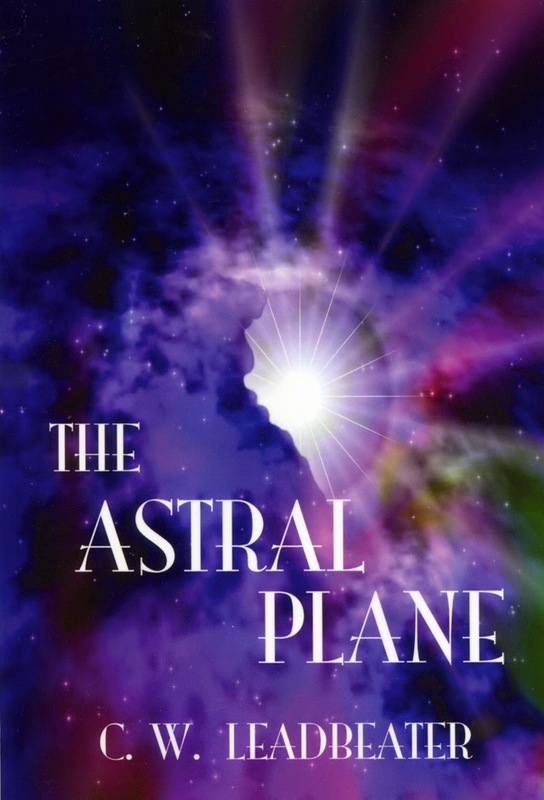 The biography by O´Byrne gives scant information on how Desmond Leslie came to realize there was a connection between the esoteric tradition and UFOs. In 1951 Leslie visited an unnamed friend and found a copy of The Story of Atlantis (1896) by W. Scott Elliot. In this book he was fascinated by a reference to the vimanas of Atlantis who were described as made of a metal of extreme lightness and strength. These craft shone in the dark as if coated with luminous paint. "It was an intriguing book , and while reading it I sensed something familiar. 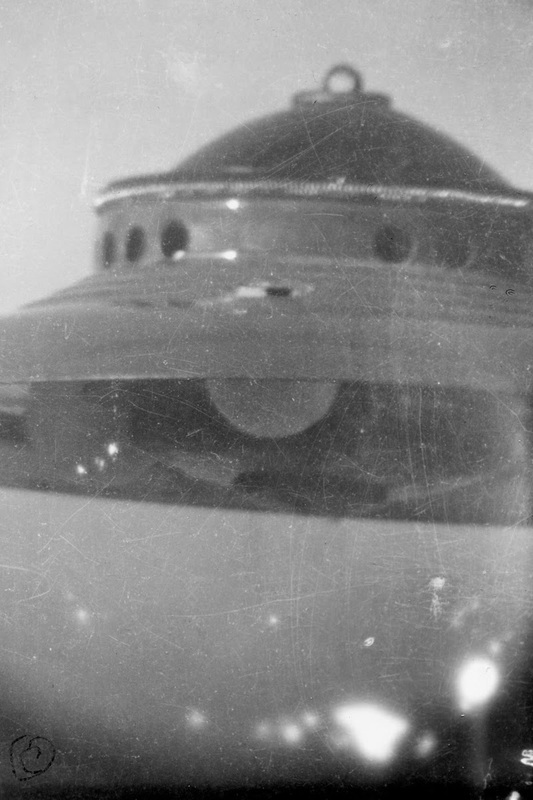 Certain characteristics were described there which tallied almost identically with the United States Army´s flying saucer reports of today. I began to think - and wonder. ". What perhaps Desmond Leslie didn´t realize at the time was that The Story of Atlantis was a joint effort by W. Scott Elliot and theosophist Charles Leadbeater. This discovery entered a period of intense research by Leslie to find references to aircraft in ancient manuscripts. He spent many hours at the British Museum studying the hindu epics Ramayana and Mahaharata where he found many refences to aerial vehicles. 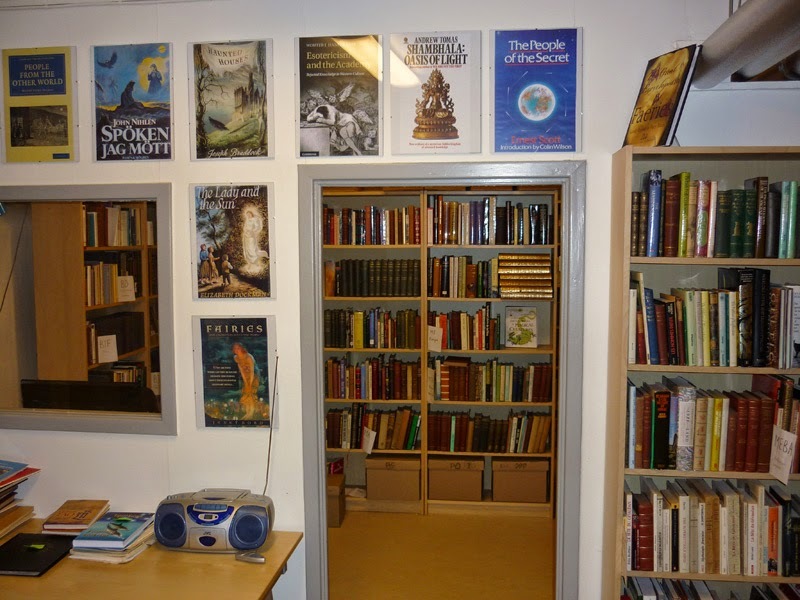 He read the classics in Theosophy and Alice Bailey and eventually started corresponding with Meade Layne, founder of Borderland Sciences Research Associates (BSRA) in 1945. 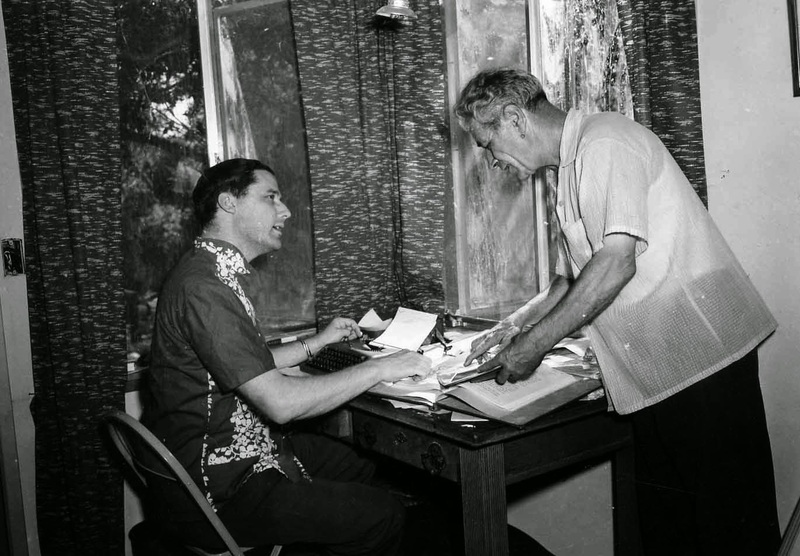 From Meady Layne he was informed of George Adamski´s meeting with a pilot from a flying saucer. Desmond Leslie wrote to Adamski, was offered his photos free of charge and the rest in history. 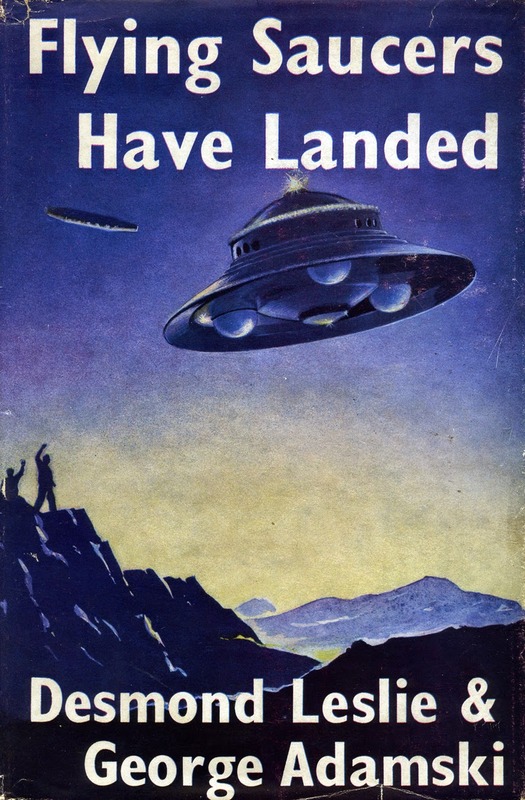 Flying Saucers Have Landed was published by T. Werner Laurie, London in September 1953. In June 1954 Desmond Leslie headed off to California to meet George Adamski. Leslie had intended to stay for a month but stayed on for nearly three month. He was 33 at the time and Adamski 63 but they got along very well together and for Leslie the visit was a joyful and a success in all ways except one. He had hoped to be allowed a trip in one of the scout ships photographed by Adamski but this never happened and he complained rather bitterly at the time. Many years later Adamski explained why Leslie was not allowed on board to his co-worker Lou Zinsstag: "You know they once planned to take aboard a young friend of mine whom I very much wanted to be favoured. But they tested this man in secrecy and found out that he was still too young... to keep a secret." In his Commentary on George Adamski, published in the revised and enlarged edition of Flying Saucers Have Landed (1970) Leslie found this a wise decision. Noticing how publicity and illusions of grandeur have ruined the lives of several alleged contactees he concludes: "Vanity lurks skin deep in most of us. The eager crowds, the silly adulators, the hungry sheep seeking some new stimulus, the temptation to be "The great I Am" - I might well have become the worst of the lot." During his stay with Adamski, Leslie did observe a small golden disk not more than fifty feet away. 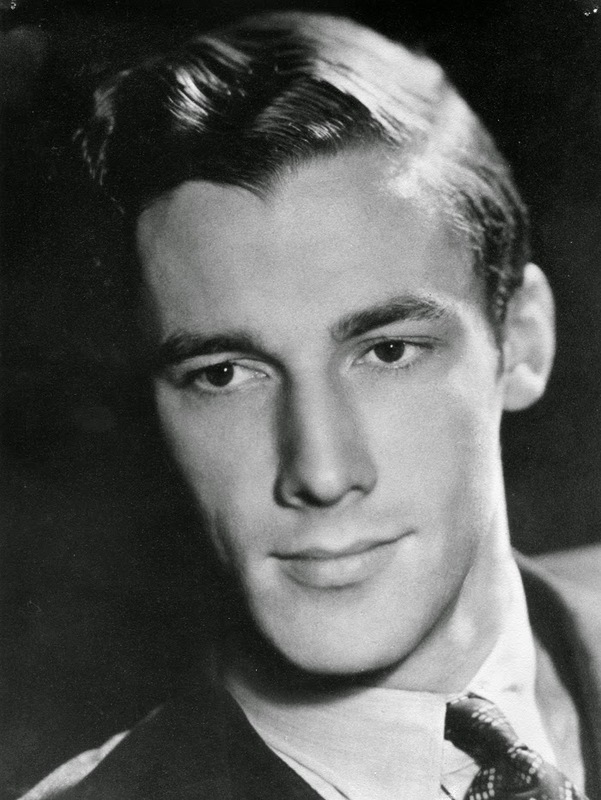 During the 1950s Desmond Leslie was intensively involved with the UFO movement. He lectured all over the world and was interviewed on many radio and TV programs. But he also continued his study of the esoteric tradition and paranormal phenomena like materializations visiting various spiritualist mediums who could produce what is named ectoplasm. Leslie claimed to have witnessed at least forty complete materializations in the presence of many witnesses. In an appendix to the Leslie biography Herbie Brennan relates an interesting experience. 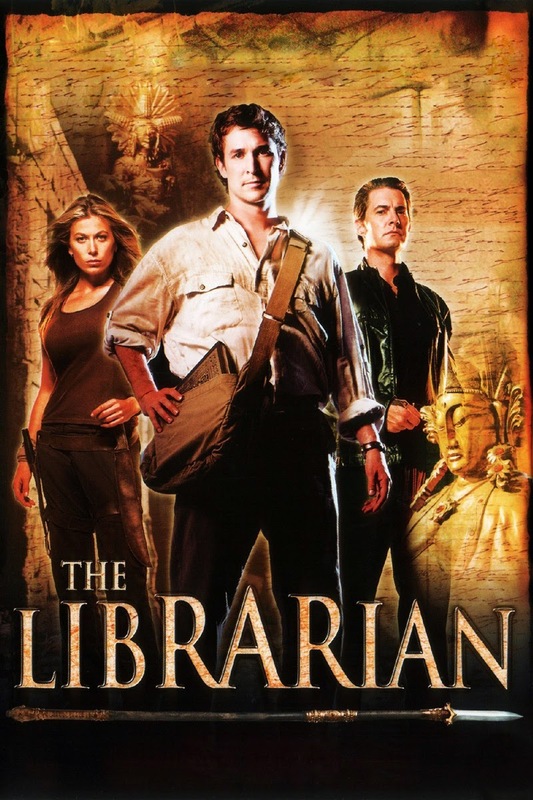 Desmond had participated in a seance with the famous materialization medium Alexander (Alec) Harris. The "spirits" walked into the room were they would talk with the sitters. Leslie was convinced this was some sort of fraud with accomplices dressed up and decided to expose the fraud: "Desmond leaped from his seat and grabbed one by the arm. "I was never so surprised in my life. The creature simply dissolved under my hand and disappeared."" One of the reasons critical ufologists regarded George Adamski and other 1950s contactees as frauds was their assertion that the visitors come from planets in our solar system, especially Venus. But although Adamski himself and the present Adamski movement still claim that Venus is inhabited by physical beings like ourself, Desmond Leslie never really accepted this assertion and argued heavily with Adamski on this issue. 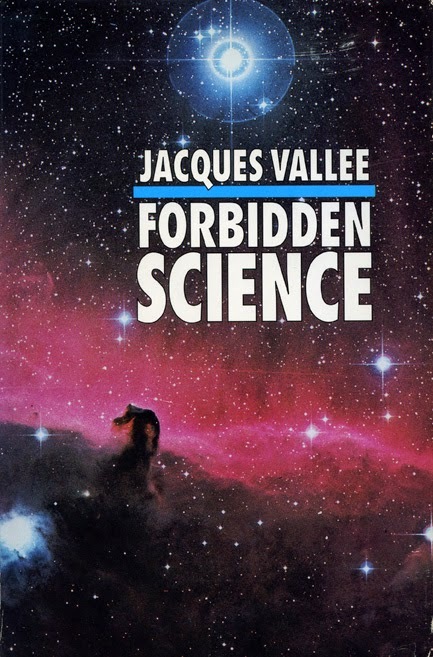 He tried to explain his view in Commentary on George Adamski in the new edition of Flying Saucers Have Landed, where he presented the esoteric explanation that Venus is inhabited but not in our visible part of the multiverse. From the many references and quotes from various esoteric authors in Flying Saucers Have Landed and many subsequent articles it it obvious that Desmond Leslie was very well versed regarding the esoteric tradition. This made him realize there was a great similarity between the worldview of the "space people" and esotericism. In a letter to George Adamski co-worker Carol Honey October 14, 1962 he wrote: "The teachings of the "brothers" are acceptable because they tally (agree) with the teachings of that band of initiates and sages who through all history preserved the Divine Law and released to the world in every age as much as they considered advisable to the relatively simple "children" they tried to help." With his deep commitment to the more intellectual or academic esotericism it comes as quite a surprise that Desmond Leslie around 1960 began studying the teachings of the spiritualist group the White Eagle Lodge, founded by Grace and Ivan Cook in 1936. A traditional spiritualist group very much engaged in healing and teachings which are more mysticism than esotericism. One of the reasons may have been that Grace Cook, according to Leslie, already in the 1930s had predicted the coming of the space people. 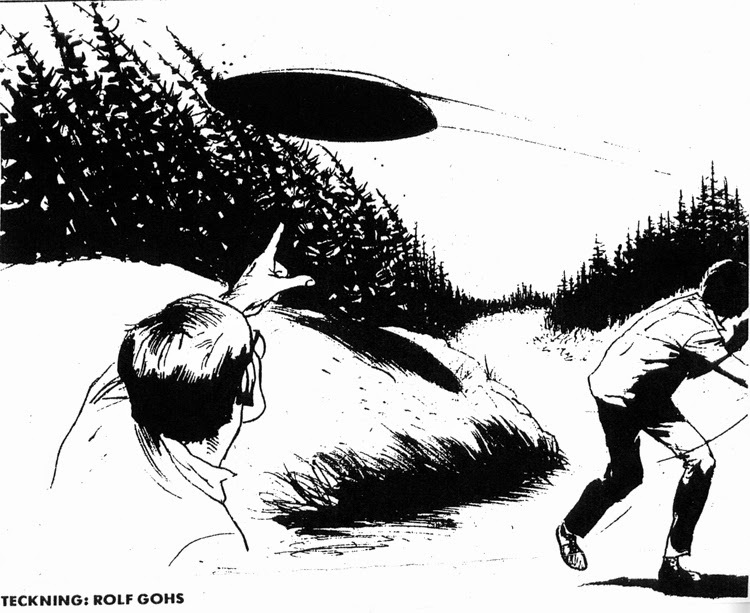 In an article, The Rise and Fall of UFO Societies, for the magazine Awareness, published by Contact U.K., Spring 1968, Desmond Leslie writes: "Thirty years ago they first received information as to the impending coming of the Space People. the have never swserved from the light, nor from the guidance given them." 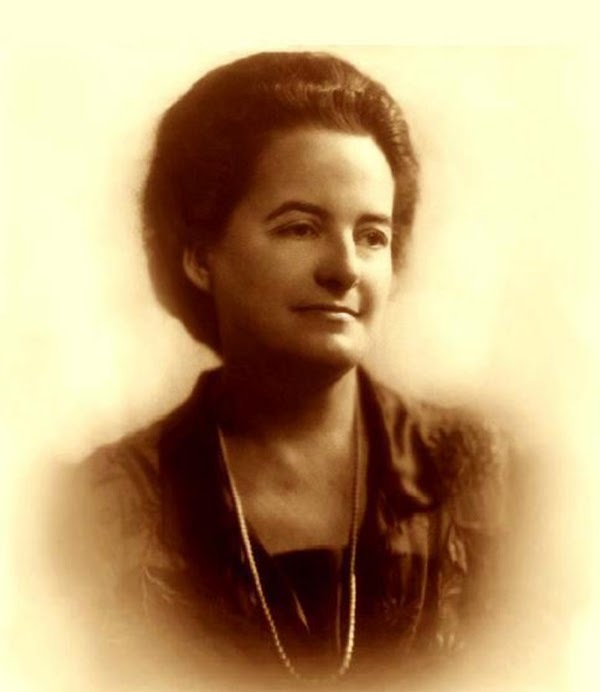 If Desmond Leslie had carefully studied the works of Alice Bailey he would have found the same information presented in a somewhat different form. So can we like religious scholar Robert Ellwood define Desmond Leslie as an esotericist, in spite of his endorsement of the White Eagle Lodge teachings? I would answer in the affirmative. White Eagle Lodge functioned like Leslie´s "church" as he left the Catholic Church, but his worldview was clearly esoteric. This becomes obvious in his position statement in The Encyclopedia of UFOs (1980), edited by Ronald D. Story: "The UFO problem is vastly more complex than I first thought it was. Many are undoubtedly interplanetary probes from other systems... some of the odder sightings are not of spacecraft but of psychic and spiritual phenomena." He then refers to the theosophist Geoffrey Hodson, postulating that some UFOs could be devas or elementals. 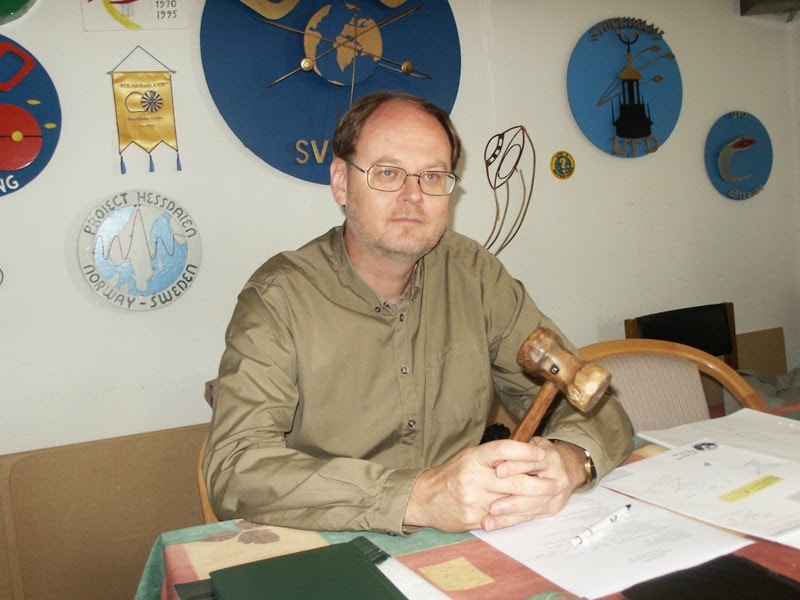 Desmond Leslie was a pioneer in the controversial and fascinating underground world of ufology. I admire his searching spirit and his wonderful humour. Some years before his death in 2001 a guidebook to Ireland had described his family as "mildly eccentric". Leslie wrote to the publishers explaining that the Leslies were in fact "very eccentric".